Investors are optimistic about the 2019 outlook for the A-share market, which will have its first trading day in the Year of the Pig on Monday. Records going back about two decades signal gains on the first trading day and in the first week. Brokerages and fund managers predict a "structural bull market" in 2019, boosted by such favorable factors as the low valuations of A shares, domestic news site yicai.com reported on Sunday. 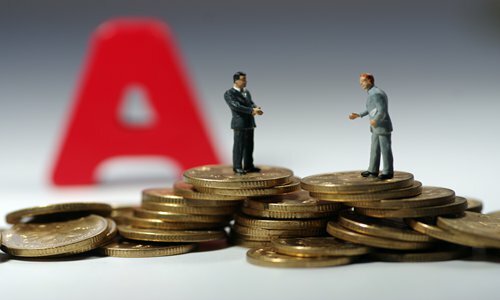 Figures that go back 19 years indicate an 84.2 percent likelihood that the A-share market will be in positive territory at the end of the first trading week, the yicai report said, citing financial information provider Wind. The optimism has persisted even though lock-up shares worth 102.8 billion yuan ($15.24 billion) will become eligible for trade on the Chinese stock market this week. It will be the first of nine weeks in which the figure exceeds the 100 billion yuan mark in 2019, the Securities Times newspaper said. The potential sales won't exert much pressure as long as buying outweighs selling, and there is a high likelihood that history will repeat itself in the first trading day of the new year in the lunar calendar and the first week, Li Daxiao, chief economist at Shenzhen-based Yingda Securities, told the Global Times on Sunday. "The A-share market has ended down for five consecutive quarters so far, and it has never broken this record," Li said, noting another reason for the bullish view of the stock market's performance in 2019. Li said 2019 will also be year zero, during which time foreign capital will overtake domestic funds as the lead investors in the Chinese market. "Their augmented size will be conducive to a conceptual change toward value-based investment from speculative investment," Li said. Analysts at the China Merchants Bank said in a statement emailed to the Global Times on February 3 that the inclusions of A shares in leading international indices such as the MSCI indexes and FTSE Russell would bring about $68 billion worth of foreign capital to the domestic stock markets in 2019. Foreign capital increased its holding in the A-share market by 335.5 billion yuan in 2018. About 60 percent of that total represented purchases at the times of the inclusions of A shares in the MSCI indexes, the statement said. The external environment, progress in the trade talks between China and the US, and China's regulatory and fiscal policy changes in terms of cutting taxes and fees will provide positive impetus for the A-share market. The first quarter may be the best of the year, Li predicted.